International Stem Cell Corporation (ISCO) announced today that Executive Vice President Dr. Simon Craw, will present a corporate overview of ISCO and its subsidiaries at the 26th Annual ROTH Conference on Monday, March 10th at 3:30 p.m. PDT. The conference is being held at the Ritz-Carlton, Dana Point, CA. 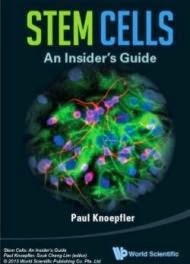 Please contact the conference organizers if you have an interest in attending the conference or if you would like to arrange a meeting with International Stem Cell Corporation's management team.